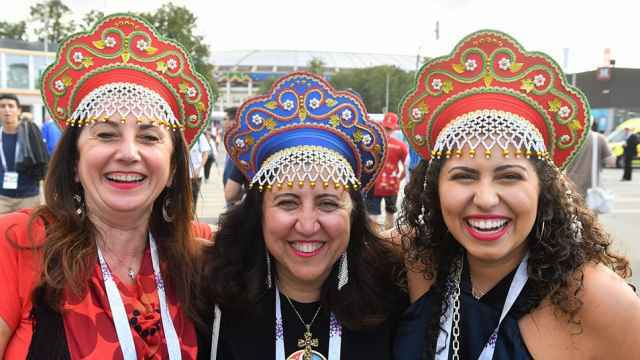 With just over 30 minutes left to play and leading Turkey by a goal, Russia’s fans could taste victory. Then the team lost its focus. Two of Russia’s defenders — the lumbering Sergei Ignashevich, who will be the third oldest player at the 2018 FIFA World Cup, and Ilya Kutepov, who was playing in only his seventh international match — left a Turkish forward alone and free. The attacking player scooped up a long pass delivered from his team’s half of the field, calmly dribbled down the middle of the pitch and slotted the ball into the lower corner of Russia’s net. When the final whistle sounded, jeers and whistles rang out from the stands, which were filled almost entirely with home supporters. Going into its first domestic World Cup, Russia has now gone without a win in its last seven matches. After drawing against Turkey and losing to Austria — both of which failed to qualify — in its final two preparatory matches, Russia became the lowest ranked team in the tournament. If Russia, which qualified automatically as the hosts, cannot muster a win against Saudi Arabia in the opening match on Thursday, the team will equal a winless record set in 1912, when the country was still ruled by Tsar Nicholas II, and matched in 1998. With fans’ hopes all but assured to be dashed over the next few weeks, the question many have been asking is this: How did Russia, with one of the world’s largest populations from which to draw talent and eight years to prepare to host the World Cup, end up with such a weak football team? 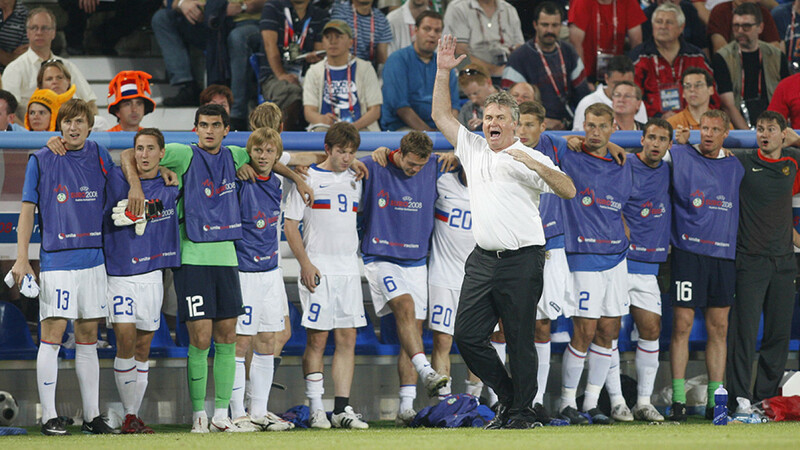 It was a question that Russia’s only successful manager in recent history anticipated eight years ago. With its huge population, and eight years to prepare, how did Russia end up with such a weak team? Although Hiddink said he doesn’t know what has been done since he left, Russian football journalists filled in the gaps. “In essence, Russia has never taken youth football seriously, including over the past eight years,” said Denis Romantsov, an editor at the Sports.ru site. Namely, according to Igor Rabiner, a Russian football journalist, the nation suffers from systemic issues at the grassroots level: poor scouting, a dearth of quality youth coaches and too many players accepted into the top youth academies simply because their parents are wealthy or have connections. If Russia had put an emphasis on youth development back in 2010, football pundits say, it would have been able to field a more competitive team. Those who spoke with The Moscow Times lamented that Russia did not take to heart the example of Germany, which hosted the World Cup in 2006. Coming off a disappointing 3-0 loss to Croatia at the 1998 World Cup and a group stage exit at the 2000 European Championships, Germany had hit a low point just as it was awarded a domestic World Cup. But by immediately opening 121 regional youth development centers throughout the country, developing wide scouting networks and placing quality coaches at the youth level, it was able to build a team that came in third place at the 2006 tournament. Focused on winning rather than developing players, club coaches end up giving very little playing time to new players. Accordingly, said Toke Theilade, editor of Russian Football News, Russia’s national coach Stanislav Cherchesov is then left to pick players he thinks will get the job done in the short term. The result is a team that will, paradoxically, be both the seventh oldest and the ninth least experienced (counting average matches played at the international level) of the 32 total World Cup teams. The youth that has made it into the ranks is inexperienced; The senior players — the likes of Ignashevich, Yury Zhirkov, Igor Akinfeev — are fading stars past their prime. Before the winless streak that started in October of last year, many Russian fans placed their faith in the young stars who broke out over the past two seasons in Russia’s top professional league. Some are still holding out hope. The crux of the issue, experts say, is that Russian players tend to stay in the domestic league rather than seeking out higher levels of competition in Europe’s top five leagues. Of Russia’s 23 players, only two play outside of Russia’s borders: Denis Cheryshev, who grew up in Spain, and Vladimir Gabulov, the team’s third-string keeper who plays in Belgium. “They don’t have week-in week-out experience against the world’s best players,” said Alexander Dobrski, a football blogger for Sports.ru. Simply playing against each other, however, has only lowered the level of play over the past few seasons, experts say. But after that, Dobrski, along with thousands of Russian fans, believes that their team — despite having a home field advantage — will tumble out early, as always. Of nearly 65,000 respondents to a Sports.ru poll on how far Russia will advance in the tournament, 73 percent said the national team will fail to exit the group stage. By contrast, only one previous World Cup host since 1930 has not advanced. If there is anything Russian fans are pinning their hopes on, it's the scheduling. The team’s group stage matches against Saudi Arabia, Egypt and Uruguay, respectively, will each be increasingly challenging. By starting against the weakest team in their group and finishing with the strongest, Russian fans hope their inexperienced young stars can grow into tournament play.